In an event for Mobil 1 and Esso, Mclaren Honda driver’s; Mika Häkkinen, David Coulthard, Jenson Button, Fernando Alonso, and Stoffel Vandoorne recently got together at Fernando Alonso’s Go Karting circuit in Spain to pit the skills of Mclaren drivers from the last 3 decades against each other. The event saw Mika, David, and Jenson return to Go Kart for the first time in years, giving them an opportunity to roll out some tried an tested excuses for performances (of lack there of) on track. Jenson who is very media event you see him in comes across more and more like a presenter enjoyed the challenge, but was keen to point out Fernando’s home advantage. Who ultimately took the chequered flag? Check out the film above from Mobil One’s The Grid to find out for your self! 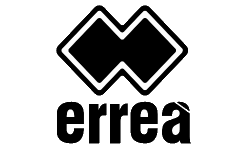 Previous PostFormula E: Erreà Sport joins Mahindra RacingNext PostFormula One: Belgian Champion in waiting?